Normally this site’s content is reserved for one thing: writing nice things about music we like. And it will stay that way. However, being a musician myself, and a recording musician for over twenty years, I find myself moved to offer comments on some aspects of a debate that has been stirred up once more — by richy-rich mega-rich Taylor Swift, of all people, the Lars Ulrich of 2015. And the “why” of this little op-ed lies in the previous statement. Whenever we read an article on this topic in any media, the story’s always being told from the perspective of someone with a vested interest in music being profitable to them, ie someone who is already profiting. This person feels strongly that whatever is currently going on in the music industry is cheating, or will cheat them, out of their just due as a creative artist in the marketplace. Exactly what’s just, of course, is a matter of opinion. Fair play — this should all ideally be profitable for everyone, right? Heck, I’d love to get me some too! Yet, as in all human matters in this vale of tears, the views of the majority, the people not blessed with any success or celebrity or outrageous good fortune at all, are nowhere to be heard. Except, of course, on their unread status updates and Twitter accounts. Well, I’ve got a few things to say about all this anyway. This piece may seem a little scattered — it’s a bunch of feelings and thoughts that have occurred to my during my years of almost total obscurity. Considering I’ve been making my own music and releasing it for many years, I feel eminently qualified to speak for that common but voiceless musician: the one hardly anyone listens to. For we are the true unsung craftspeople! If you don’t find this helpful and coherent, well, I didn’t ask ya to read it. Or did I? Wow, what a heading, huh? But seriously, you know what essence is lost in discussions of music-making these days? The very role of music in our lives — both of the listener and the music-maker. Nowadays, we seem to talk a lot about how we consume music and in what format and who’s profiting from it and who should. Long, long before some traveller with a lute realized someone would give him a chicken leg in exchange for a song, music emerged from our consciousness for purposes unrelated to immediate gain. Music, as anyone who has studied its international and historical varieties knows, serves many basic purposes: social ones for the bonding of a tribal group (tribes in Borneo, or LA punks), religious or spiritual or ritual purposes, etc. It appears quite strongly that we, homo sapiens sapiens, will make music no matter what circumstances we are living under. It comforts us, it bonds us to others, and it even provides a window for self-expression, now that we live in an epoch where individuality is promoted and celebrated (to an extent). It would not have been in most societies of the past. My point here is that humans have made music, as far as we can tell, forever. We will always make music, for the impetus is most clearly not profit. Music is not a job, it’s a calling. It’s a calling that some wish to, and even less can, make into an occupation — an opportunity provided courtesy of our living in an industrial society. Instead of having to worry about tending the crops from dawn till dusk then playing the guitar by candlelight in the evening, the talented muso can dream of getting money in exchange for his ability to provide entertainment to his tribe, which now numbers in the millions or billions instead of dozens. It is also reputed to be helpful in the attainment of a mate. However, this new wrinkle, the music “career”, is a recent thing. Let’s get that straight. Profiting from music-making is clearly no more of an inherent human right than, say, profiting from knitting sweaters. If there is a market and, more importantly, a means for you to make money from your skill, it is, of course, a desirable thing and possibly a sign of a healthy-ish modern society. You do have the right not to let other people make money from your music as well, or not to make more than you are — you have a choice. Let us not lose sight of the fact that we are also compelled to make musical sounds by something innate within us, not merely by the rumbling in our bellies that says it’s time to go make some money or the desire to impress a potential sexual partner. It’s quite fair to say that in a pre-industrial society, musician as a full-time occupation did not exist. Composers composed, yes, but firstly for religious reasons, then, post-Enlightenment, for often artistic, secular reasons. However, only the upper classes had access to music as “art”. And only the musicians who performed for that upper crust could be said to be “professional” musicians. Everyone else, aside from sellers of broadsheets and music hall musicians, could be said to have been playing and singing almost exclusively for reasons unrelated to monetary profit. 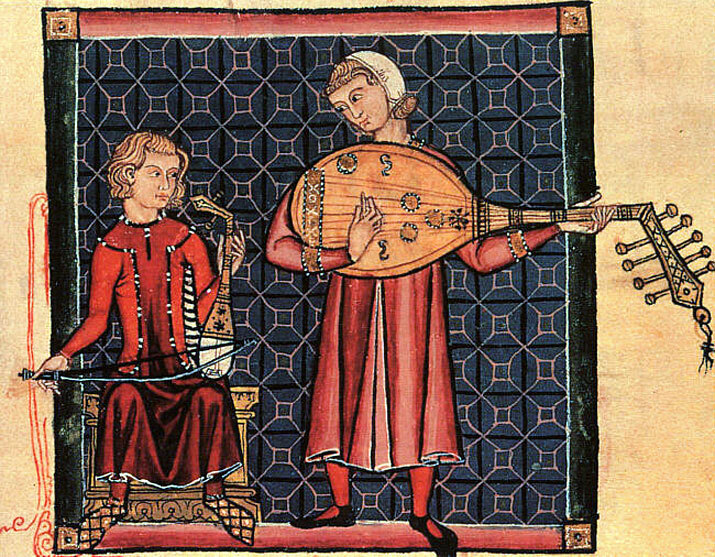 The advent of recorded music in the Western world changed everything — not at first, but slowly. Music now wasn’t something you had to make yourself in the moment or leave your home to hear, it was portable. The waves could be captured on an object, the record, and therefore, that object acquired value, as most man-made objects do. This is what really created the “professional” musician, at least outside of the context of symphony orchestras and wedding bands. This new product was, of course, sold by capitalist enterprises that inserted themselves between the musician and the consumer, providing the services of manufacturing, distribution and promotion of the product, just like screws and light bulbs, the difference here being that you need only a machine to make a light bulb; to obtain music to sell, you need to involve the mind of a musician. Thus began the fraught relationship between the record company and the musician. The other interesting layer here is that music had become an “artistic” product, meaning that the beauty and value of said product was vested entirely in the ear of the listener — or the ability of the record company’s promotional department to convince the listener’s ear that the product was beautiful. As opposed to the screw, the reputation of which is gained purely from its functionality and reliability. A large and vastly profitable industry grew to service the public’s appetite for new musical product, leading to the development of ever new styles that reflected or sometimes even helped to create changes in society. The creators of the music, the musicians, acquired godlike status with the public, even though the vast majority of the profits were taken by the capitalist enterprises selling the physical object containing the reproduction of the art. Occasionally, and increasingly, with technological development, some musicians were even able to attempt to operate independently of the middleman and act as their own small businesses, though with middling results overall. In terms of the effect on the collective psyche, the results of all this could be said to be mixed; the public now had access to whatever it could afford, and as much of it — the endless choice that is now celebrated as the nirvana of a consumerist culture. You are not limited to the music around you; you can enjoy whatever music you want, from around the globe, whenever you want to, if you can afford to. The spiritual and educational benefits of this form of compassionate communication are incalculable. However, at that time, before the advent of the Internet, it’s fair to say that the gatekeepers were firmly established. Unless you were a 100% music aficionado determined to search the world for the finest and most diverse music that reflected your interests and needs, and thus would seek out under-promoted independent or small label products, your choices were dominated by what the large companies fed you as the finest selections from your artistic or popular culture. This system existed from the dawn of recorded music, up to the age of Internet, when the rules were dumped out the window. The relationship of business to technology is simple: a development occurs, business exploits it. Sometimes developments are the result of innovation by business, to be sure, but the basic relationship is: there’s a demand for this, and we will supply it. Rule number one of capitalism is: take as much as you can, no matter how it’s done. This is not an observation tinged by ethics on my part, it’s the rational end of the means. The second major development after the invention of the vinyl record (tapes and 8-tracks were more a blip on the chart) was the compact disk, cheap to produce and more portable than a vinyl record. The industry responded by reissuing any old recording it could make more money from, then when that supply ran out, it started remastering the recordings to supply supposedly superior sound. And remastering again. And again, every few years. However, already another new, alternative way of doing things had been born: the recordable CD had been invented, and finally the musical underclass could utilize a technology to manufacture, in small amounts, its own product that sounded almost as good as the manufactured one. Not to mention that the more affordable compact disk created a situation in which a small amount of musicians could attempt to operate independently. Still, the system persevered, with large amounts of money being made from reissues and remasters as well as new product, aided by the advent of the music video, which had its heyday between the early eighties and around 2000. Again, this was a technology that the poorer independent musician could not easily access. The Internet was a big bomb dropped on the whole existing system, of which the CD was just an adaptation. The Internet, and the MP3, created a situation in which anyone, at any time, could easily share music. Not only that, but with all recording being done digitally rather than on cumbersome tapes, artists could now record their own music at home, and even place it online for download, free or otherwise. The industry tried to forge on in traditional ways while incorporating new technologies, such as sales via iTunes, but there is no doubt whatsoever that music became devalued compared with the not so recent past. If you can get something for free, you aren’t going to pay for it, unless it is to satisfy a moral code — a code that is fundamentally irrational, as most noble premises are. Let me say that I, like most people, acquired “free” (illegal) music during the frenzy that this started. It’s easy to see why. If you were, say, not wealthy, meaning you are like most of us, and you really love music, you had to buy it when you could afford it, in small amounts. Then, suddenly, the taps were opened and you could have all the music you ever dreamed of, at no cost. It was irresistable, and morals be damned. We flocked to peer-to-peer programs and later to torrent sites to gorge ourselves like monkeys who came across a tree dropping endless supplies of ripe fruit. Now, as the frenzy has died down, many of us have stopped doing that (certainly those of us who are musicians and understand the joy of actually selling something once in a while…). A certain nobility has taken root again amongst true music fans. The point is, in this new reality, if the companies that traditionally made money by freely and callously exploiting the efforts of musical artists were to find new revenue models to replace the vanishing CD and the unreliable MP3 or MP4 sale, they would have to be cagey, considering that even an MP3 file had been devalued to almost nothing. In concert with government crackdowns on file sharing, the idea of paid streaming emerged, and that is what people are debating today. What a stream does is it pays a license to the “owner” of the content (which is not always the artist) and in return supplies an amount of money that is really just an acknowledgement of value. While the supplier of the content may receive a larger sum, the “creator”, or musician, receives an amount that is effectively nothing per stream. While the amounts generated by this are hardly regenerating the might of the recording industry, it does supply new revenues to these companies. Remember, the nature of business is to squeeze whatever profit it can from any development, and that is what music companies are doing today. From the perspective of the “professional” musician, the recognized value of their recorded performance has gone from something to almost nothing. That is the essence of Swift’s argument. So, from a musician’s perspective, you may think all this amounts to the end of the world. Before, we could all at least dream of making music our occupation. Now, maybe not, unless we are prepared to act as a very aggressive small business and put all our efforts into manufacturing and promoting a physical product that is essentially anachronistic, then finding every single person on Earth who might want to buy it. Performing music live as a source of revenue has also, ironically, never been more important as a means of support, despite there seeming to be declining interest in it. But the fact is, back in 1995, when we talk about record companies, promotion, touring, all that stuff — that was something most of us could never even dream of. The existence of the gatekeepers and the limited technology itself as another de facto gatekeeper meant that success entailed currying the favour of those gatekeepers. It meant having a sound, a style, a look that fit in with some industry perception of the musical zeitgeist, leading to one of these businesses taking a chance on building a career for us if we happened to fit the current flavour. Well, how many musicians were handed the keys to that kingdom? We’re not talking 1% here, we’re talking a minute fraction. The “unsigned” musicians of the world mostly played their songs in empty living rooms and bars, made independent albums that no one racked or bought, and generally could only dream of life on the other side. Now? Sure, in 2015 the upper royalty of pop music stardom is still there. But what has changed is our ability, that of the musical underclass that doesn’t have the right sound, look, or age to fit into this perception of the zeitgeist, to make our music available. Note that I say “available”, not “available for sale”. Music has been devalued; where once it had a price, now it might not. Maybe a certain consumer will pay for it, maybe not. They have a choice, and so do you. The value is not set by a market, but by a relationship you wish to establish with the consumer. You can make your album, for cheap. You can place it on your website or on Bandcamp, or manufacture a short run of CDs, and promote them yourself via Twitter, Facebook, YouTube, etc. 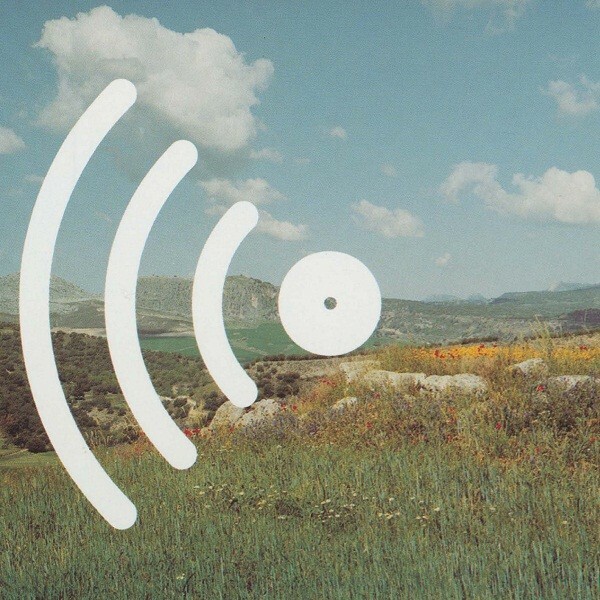 You can design an album cover that rivals anything you’ll find on a major label, the result of corresponding developments in visual technology. In other words, while your chances of making any money from your music are no greater than they were in 1995, they are not actually lesser because of downloading or streaming. They are probably the same; before, the gatekeepers would ignore you. Your best chance of making money would be to make a CD and beg your friends to buy it. Or to play some covers at the local tavern. Now, at least you have more power to try to create something for yourself. Now, even if you have few listeners, that’s a few more than you’d have had before the Internet came along, believe me. Now, even if only in a tiny way, you can truly believe you are slightly contributing to the betterment of the collective psyche of humanity, every time someone streams your song, whether it’s for free or for a cent. What’s more, you have a choice. I chose to place albums online via CD Baby. I chose to get 0.07 cents when someone streamed a bit of something. I got what I chose, didn’t I? If you’re independent, you have no one to blame if you get into bed with people you feel have cheated you. Whining about how they should really give you 0.15 $ instead isn’t going to change things, when you already agreed to their terms. Do I regret it? Sometimes. I haven’t even made back the money I spent placing the albums with them, in some cases. I should have made my statement with my feet, so to speak, and found a way to sell my music that allowed me to retain my dignity. Still, for the “unknown” musician, how is this current situation worse than the one that existed in 1995? Music as commerce did not benefit the unknown — it created a fortunate elite that enjoyed the spoils to the extent that they were shared by the capitalist enterprises that managed them. Existing methods of music distribution didn’t benefit the unknown then, and it can’t be said that they do now. The only difference is a greater freedom of choice as to whether you allow someone to rip you off and how much. Hence, I find the furor over the issue of changing musical technology and our declining revenues a little disingenuous all around. The funny thing about passionate feelings on issues is they almost always reflect the perceived self-interest of the person positing the opinion; if you have successfully made your living from recorded and performed music in a traditional 20th-century manner, these developments are seriously affecting your bottom line. That explains why a renowned and successful musician like David Byrne, used to being feted and lionized for his entire career, finds the current situation perplexing and depressing. If you have made a grand total of 200 bucks in 20 years, you are likely not so concerned. Smaller acts that have worked hard to build a following through selling physical product at live shows and through relentless promotion are also frustrated that the pool of people willing to actually place a value on music is shrinking. I am sympathetic to these feelings, especially the latter example, but they don’t change reality. The removal of limitations in access to the recorded results of our art is not going to change, and something new is always around the corner. Technological development does not always benefit everyone; it often does not benefit anyone, in fact. The myth of the infinite betterment of humanity through constant technological innovation is just that, a myth. There are solutions being posited as to how musical artists can survive and thrive in the coming era, but it is pointless to rail against the very existence of the change that is causing your loss. It’s also futile to suggest that those who are exploiting the change for reasons of profit should or could ever change their ways — they will not. They will take as large a portion of the money that comes in as they can, and if that leaves you with almost nothing (or even nothing), that’s not their concern. Musicians need to empower themselves and understand that the always uneasy union between commerce and music is not mutually beneficial and indeed never really was. They need to make wise choices in how and where they choose to sell and what value they, themselves, place on their music. It’s a personal thing. But from the personal perspective of someone like me? Before the Internet, I remember making a demo and sending it off to a record company, knowing full well the package was probably never getting opened before ending up in the trash. The same thing might well happen if I sent my music to a label today — not just a big one, but smaller labels too. There’s a lot of music out there, far more than ever before now that we can all record it cheaply, and getting a label is still the equivalent of a lottery win. If I tried to get a radio station interested (my poor Mum thought I was perfect for CBC Radio in Canada, and she was right, but of course, she never heard back. Poor Mum! ), the same thing would have happened. Now, while it’s clear I’m never going to have thousands of listeners, I can at least still enjoy making the music, place it online and proudly tell people that it’s good. Though I have few listeners, I occasionally even get feedback that tells me some people agree. Hell, occasionally someone even pays for it. I did not have that in 1999 — I had nothing. Nowhere to put it, nowhere for people to find it. From the perspective of my exact self-interest? The current situation isn’t so bad at all. Now let me tie this long, rambling essay back to its beginning. Making profit from music in a capitalist society may or may not be an historical blip; time will tell. What has never left us, though, and never will, is the innate need to make music. If Taylor Swift’s livelihood is stolen by Spotify (an absurd notion considering her vast wealth, of course), will she still write her songs? Will she still sing them in her bedroom after her shift at Walmart? Of course she will. Let’s not lose sight of the fact that we make music to satisfy our souls and to reach out to the souls of other people — to establish a sense of community and to give our lives meaning. If we have been unfortunate enough to live at the exact point in modern history where a person is unable make a living from their music, we won’t stop, will we? We’ll get right back to our looms and hand-weave something beautiful. Ultimately, if you keep doing that, you may find that somewhere down the road it was all worthwhile, no matter how many listeners you had or how little money you made.